Punk funk label set up by James Murphy, Tim Goldsworthy and Jonathan Galkin. DFA Records first caught my ear with releases by The Juan Maclean Band and LCD Soundsystem. 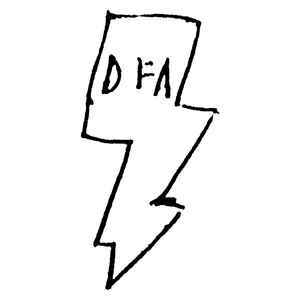 Rock-infused electro melodies with tribal rhythms and stompy basslines, DFA quickly became one of my favorite electro labels. What I like about DFA is that it is complex electro, and not the typical cheesy pop beat with some deadpan droning voice and shocking lyrics. DFA Records seems to have a mood of celebration about it, as shown in songs like "Beat Connection," and "Daft Punk is Playing at my House." Even more serious subject matter such as "Tribulations," and "You Can't Have It Both Ways," amongst others, have a generally positive, upbeat vibe.